The fake WhatsApp messages appear as if they have been sent by someone in your contacts – such as a friend or family member. However the recipient name is actually fake and is designed to trick you into clicking on the URL to claim the alleged Sainsbury’s or Topshop voucher. If you click on the convincing looking URL you will be taken to a fake website designed to trick you into handing over personal information. According to security researchers, once you click on the malicious link fraudsters also collect personal information from your device by installing cookies on your phone that track you, or add browser extensions that can be used to show you advertisements. 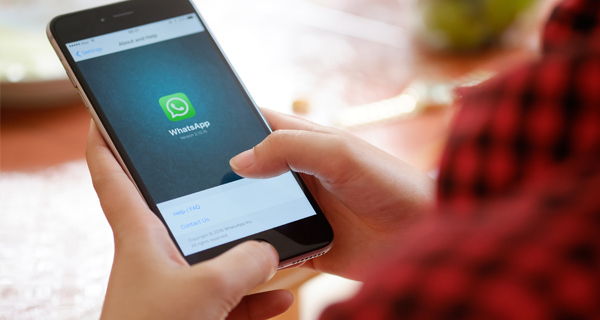 Follow WhatsApp’s advice for staying safe whilst using the messaging service. Earlier this year, users were also warned about upgrading to a WhatsApp ‘Gold’ account.